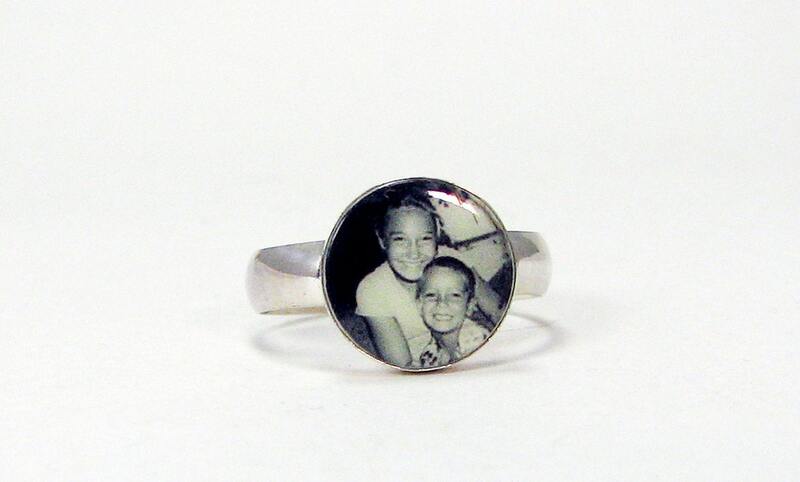 Order this custom photo ring in your size up to size 9. 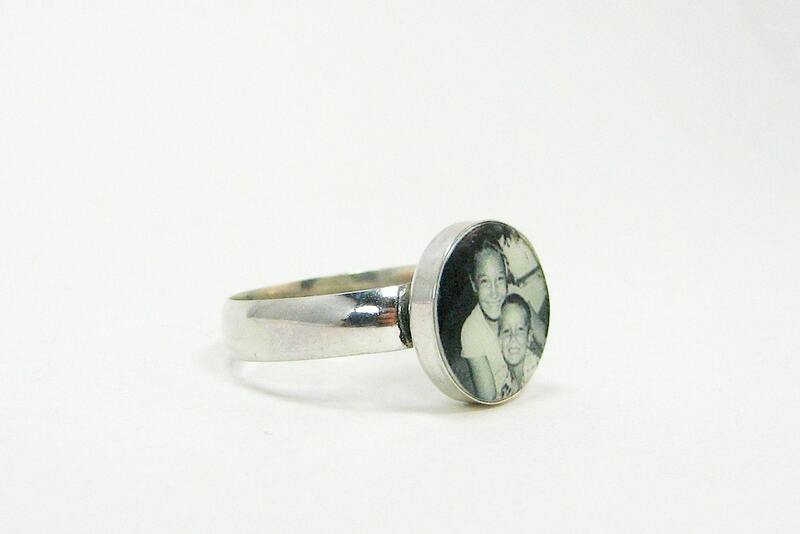 This is a very shiny, 12 mm round clay photo tile, with your favorite image baked right in the clay and sealed to a glossy finish, then secured in a sterling bezel. 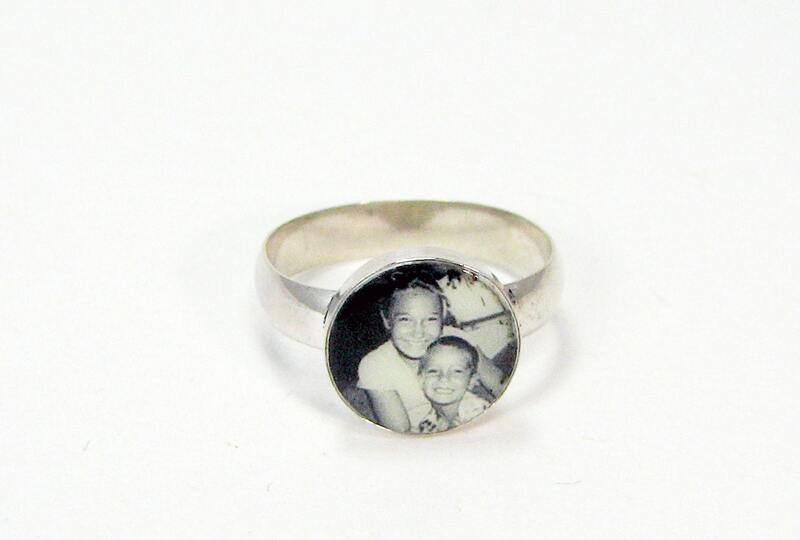 I recommend having your finger measured by a jeweler before ordering if you do not know the size of the finger you want to wear it on. 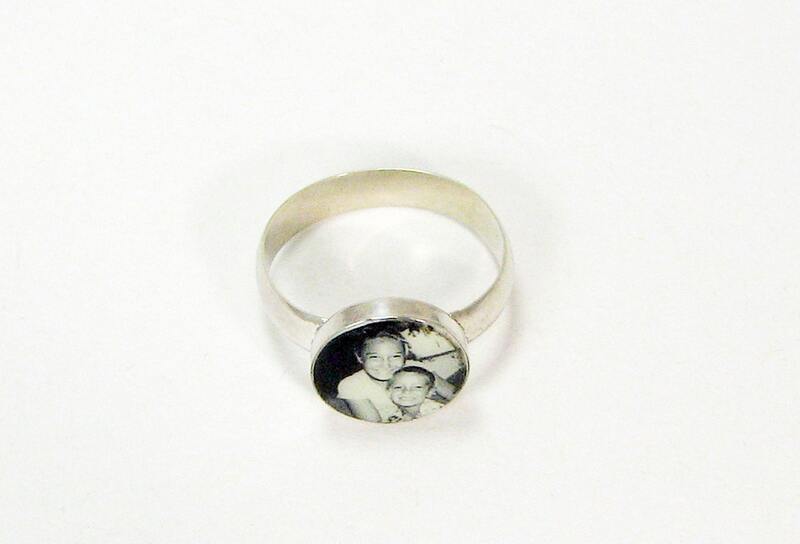 These photos do not reflect how highly polished this ring is; in person it's gorgeous.